Annually SCHS hosts Relay For Life around the end of March. This is an opportunity for the community to come together and raise money for cancer research. Relay for Life not only includes teams that come together to raise money, but also newcomers that come and enjoy the day. Relay For Life has raffle baskets, a memory walk and different tables with desserts and other homemade items for sale. This is an opportunity to hear about people’s stories and learn about the fight they went through or are currently going through. Everyone attending Relay for Life has been affected by cancer in some way. That is why Relay for Life has fundraisers yearly to help find a cure and remember those who are no longer with us. 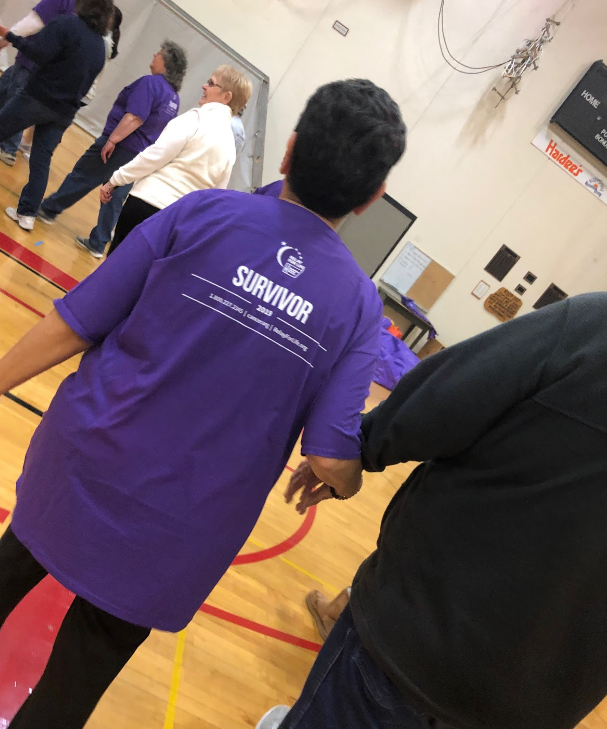 As the cancer survivors are all given purple shirts to wear, they do a few victory laps around the gym. Hand in hand, taking a deep breath and knowing they overcame an illness that could have potentially killed them. “Relay for Life is such an important cause. It helps bring not only the community together but also struggling families. It is a place for unity and fun,” caregiver Jenny Milahn stated. These situations seem so surreal for some people. Without the support and constant care, some cannot put into words how hard it would have been. With the memories and the souls all of the survivors and non survivors have touched, in honor of them, there is a memory walk in which candles light up the room to honor those who cannot walk with the survivors. “Relay for Life always starts with a survivor lap, and then the caregivers of the survivors join in. All the survivors then get a picture together, then the Lumiara ceremony, speaker and then the memory walk in the dark,” Milahn added. 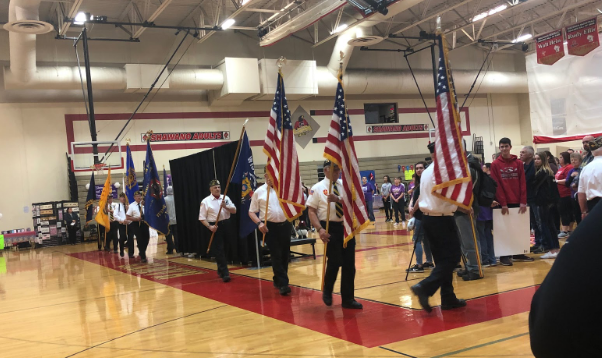 The events at Relay for Life not only provide a fun time for the community, but also help to raise money for cancer research and other services patients may need provided. 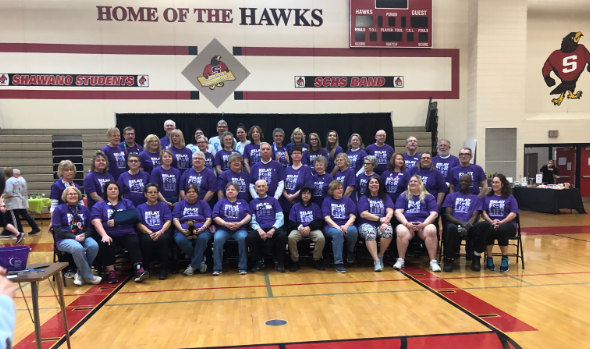 “All of the money raised helps research, getting rides together for patients and twenty four hour support for those that need it, along with helping families pay for their cancer bills,” Milahn stated. 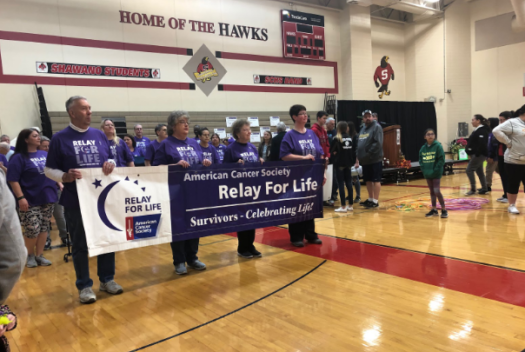 Along with the massive amount of support, Cancer Relay for Life is a non-profit organization that has a goal of one day not ever needing to have another memory walk again due to cancer. Coming together as a community to support each other during their hard times is exactly what this function is created for.